Home Travel Extraordinary & Unique Places Abandoned Ships at Sea to See with Your Own Eyes! 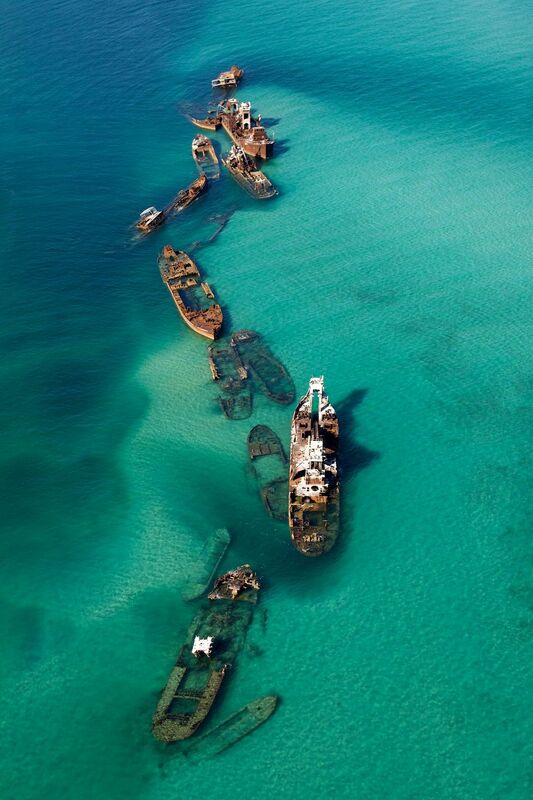 What happens to abandoned ships at the see? Have you ever seen an abandoned ship at sea with your own eyes? I have! During my vacation in Egypt, in the glorious tourist destination Sharm El Sheikh I saw a remarkable and impressive picture with my own eyes – abandoned ship at sea. The ship that crashed many years ago in the waters of the Red Sea. It strayed away from its path and dropped anchor on the coral reef and till these days landing on the reefs of Abu Galawa. Despite the decay and being almost destroyed by salt water, this ship has become one of the landmarks of Sharm El Sheikh. And you know it’s totally worth seeing it. This beautiful sea view amazes you with it’s significant large-scale and what you experience is really breathtaking emotions and definitely the feeling and desire for adventure. The photograph below was taken by me in April 2015. I think I have found pretty good ones. Those pictures show how unpredictable can be the destiny and how strongly the sea restrains its treasures and secrets. A lot of things can happen at sea and i can just add that what happens in the sea stays in the sea. Unfortunately, I could not find the authors of those beautiful photographs. But if you love the adventures I am sure those photographs will definitely inspire you to see those astonishing and fascinating abandoned ships at sea with your own eyes. So, are you ready to discover the unique travel destinations with abandoned ships? The voiceless ships that will always keep their secrets and the mystery of the sea that will share out some of its enigmas only in the shape of unpredictable waves!